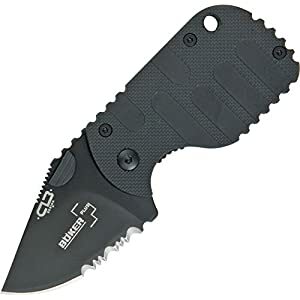 The Boker Ts Copperhead Pocket Knife is a traditional pocket knife built with premium components. 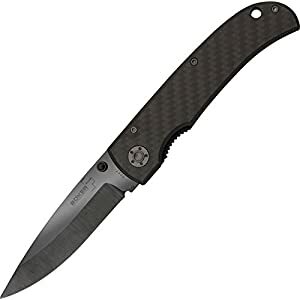 440C steel makes the blade durable and reliable. Finger grooves crafted into the care for come up with superior regulate even as also making the care for feel nicer. An elegant brown bone care for completes the look, giving the knife an eye-catching appearance. The lock back mechanism ensures that your fingers are at all times secure when coping with the knife. 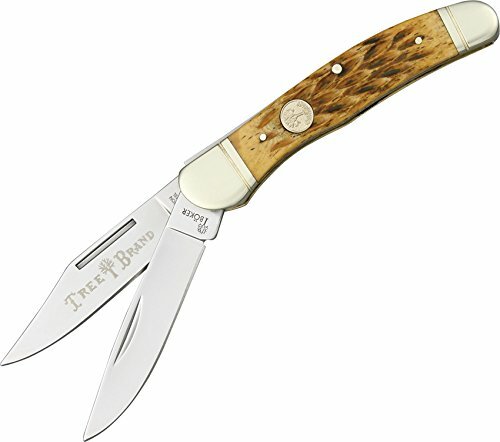 The Boker Ts Copperhead Pocket Knife comes with a brown leather sheath for all-purpose carrying. The length of the blade is 3 in. and the entire length is 6 3/4 in. Limited lifetime warranty. A chestnut tree is the sector famous trademark of the Boker knife manufactory in Solingen, Germany. It represents innovative, top quality, exceptional knives, manufactured with pride, by hand, for over 145 years. 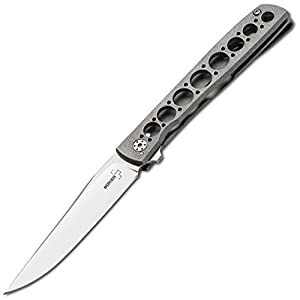 Blade Length: 3 in. Overall Length: 6 3/4 in. You must be at least 18 years old to purchase this item. It is the buyer's responsibility to check local laws before purchasing.